The following species are recognised: Chondropoma (Chondropoma) julieni Pfeiffer, 1866; Chondropoma (Chondropoma) pupiforme (Sowerby, 1843); Chondropoma (Chondropoma) rufilabre (Potiez & Michaud, 1838); Parachondria (Parachondria) basicarinatus (Pfeiffer, 1855); Parachondria (Parachondria) lineolatus (Lamarck, 1822); Parachondria (Parachondria) santacruzensis (Pfeiffer, 1855); Diplopoma (Diplopoma) crenulatum (Potiez & Michaud, 1838); Diplopoma (Diplopoma) decussatum (Lamarck, 1822); Diplopoma (Diplopoma) sulculosum (Pfeiffer, 1852). in general.” A key to the genera is also presented. 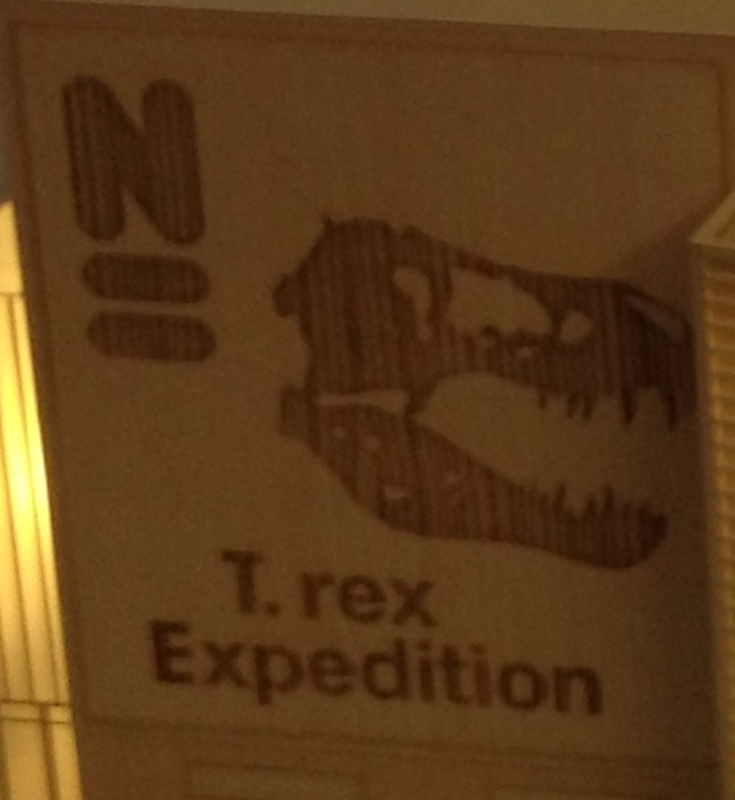 The following taxa are recognised c.q. described: Choanopomops largillierti (Pfeiffer, 1846); Halotudora gaigei (Bequaert & Clench, 1931); Halotudora gruneri (Pfeiffer, 1846); Halotudora kuesteri (Pfeiffer, 1852); Gouldipoma chiapasense (Crosse & Fischer, 1877); Gouldipoma sumichrasti (Crosse & Fischer, 1874); Gouldipoma coltrorum new species; Gouldipoma terecostatum (Thompson, 1966); Gouldipoma callipeplum (Solem, 1961); Gouldipoma chrysostiria new species; Gouldipoma thomasi (Solem, 1961); Gouldipoma trochleare (Pfeiffer, 1852); Tudorisca andrewsae (Ancey, 1886); Paradoxipoma new genus; Paradoxipoma enigmaticum new species; Diplopoma osberti (Tristram, 1861); Diplopoma rigidulum (Morelet, 1851); Parachondria cordovanus (Pfeiffer, 1857); Parachondria cordovanus (Pfeiffer, 1857); “Choanopoma” cygni Pilsbry, 1930. For all of these taxa data are given about type material, synonymy, material seen and distribution, habitat and conservation status, (re-)description, variation, comparison with other taxa, original description (translated), etymology. 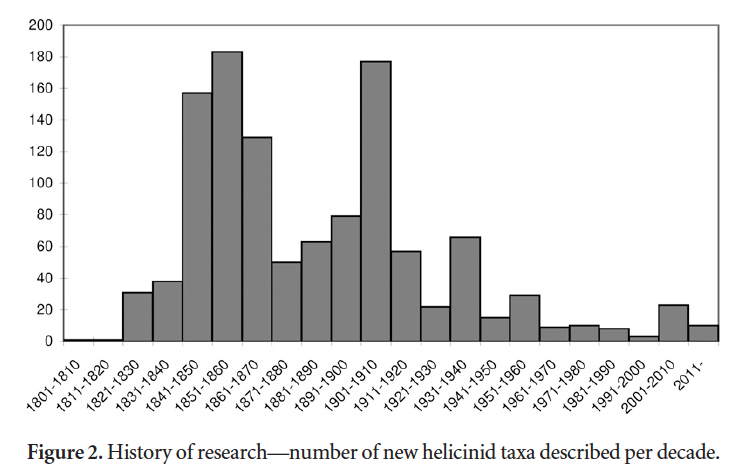 These two very thorough papers are new hallmarks for this group of snails. Watters, G.T., 2014a. 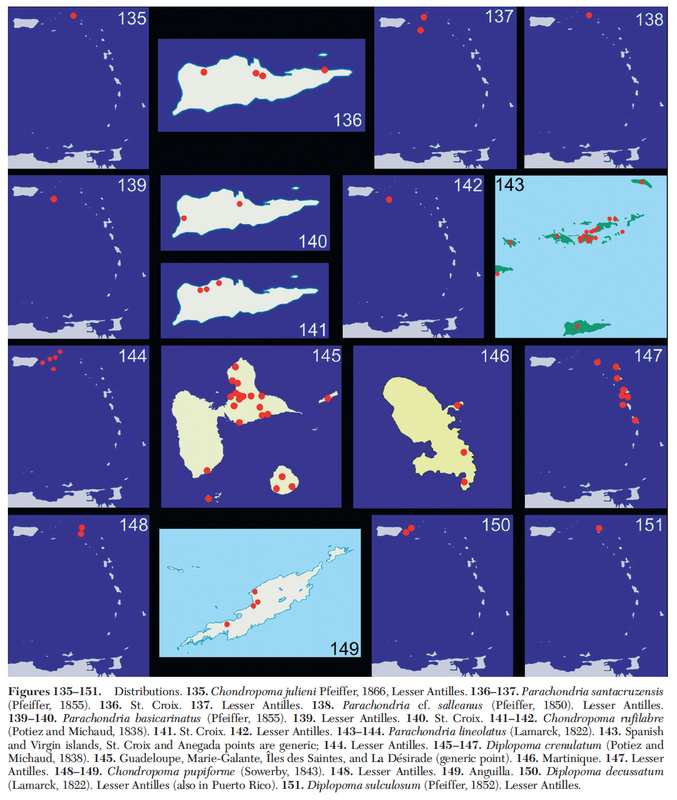 A preliminary review of the Annalariidae (Gastropoda: Littorinoidea) of the Lesser Antilles. – The Nautilus 128: 65–90. Watters, G.T., 2014b. 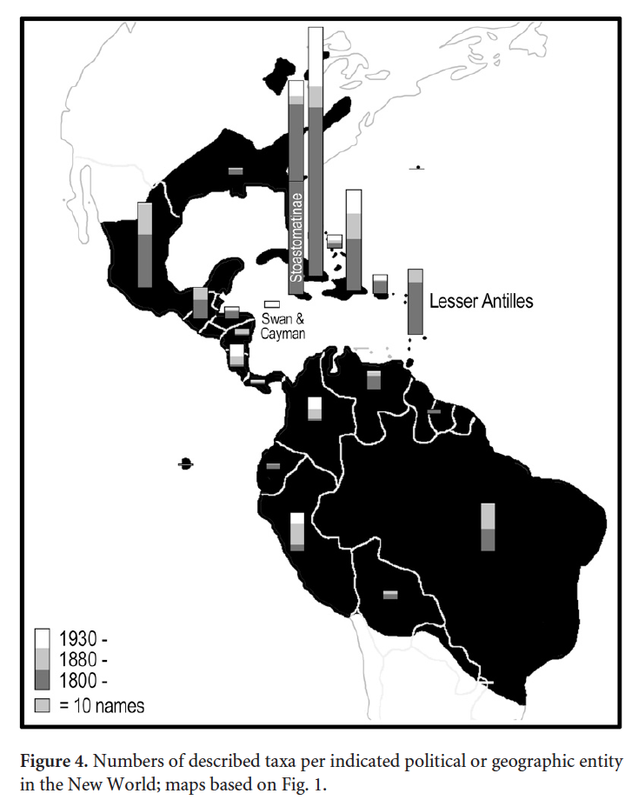 A revision of the Annulariidae of Central America (Gastropoda: Littorinoidea). – Zootaxa 3878: 301–350. 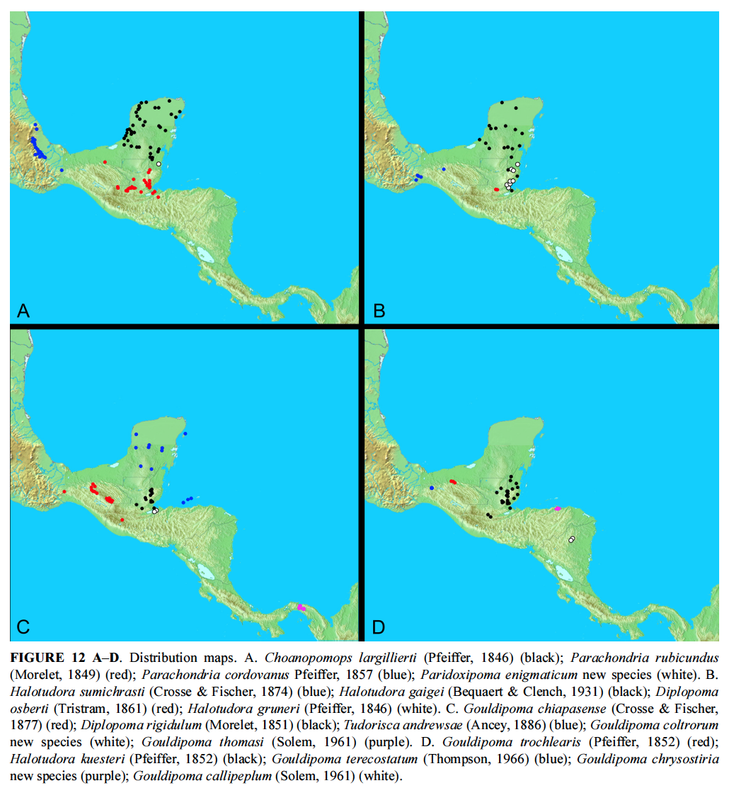 This entry was posted in Uncategorized and tagged annualriidae, belize, guatemala, literature, mexico, taxonomy, types, westindies on November 25, 2014 by bramb. Fred Thompson recently published a brief paper on the relatively poorly known malacofauna of Honduras. Two giant Euglandia species were noticed from among material collected by the author in 1993–1995. Giant species of this genus are “seldom found, judging ny the few specimens that have made their way into malacological collections and on the basis of my field experiences”. 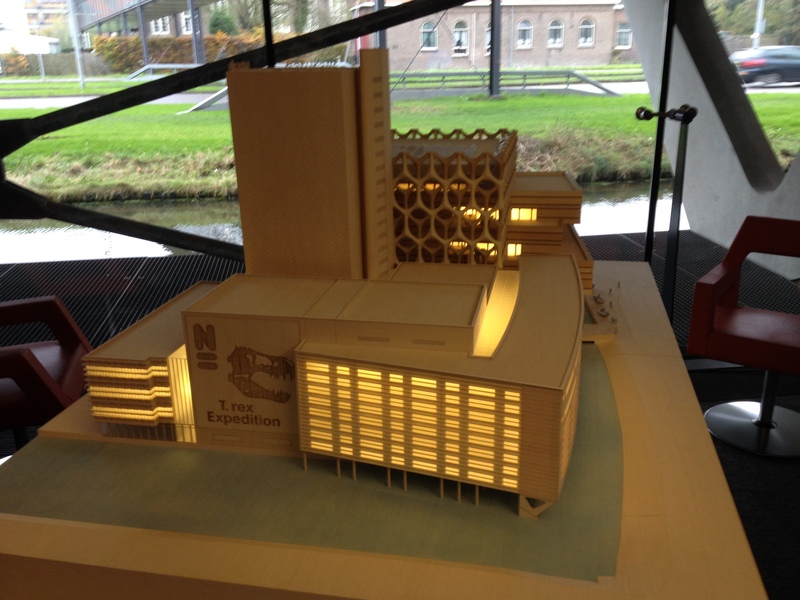 Both novelties are described from a restricted and difficult accessible area. Euglandia (E.) hyperion is described from four specimens; holotype UF 476155 from Honduras, Dept. Sanata Barbara, San Luis de Planes. E. (E.) encladus (holotype UF 468668) originates from the same area, NW of San Jose de los Andes. Thompson, F.G., 2014. 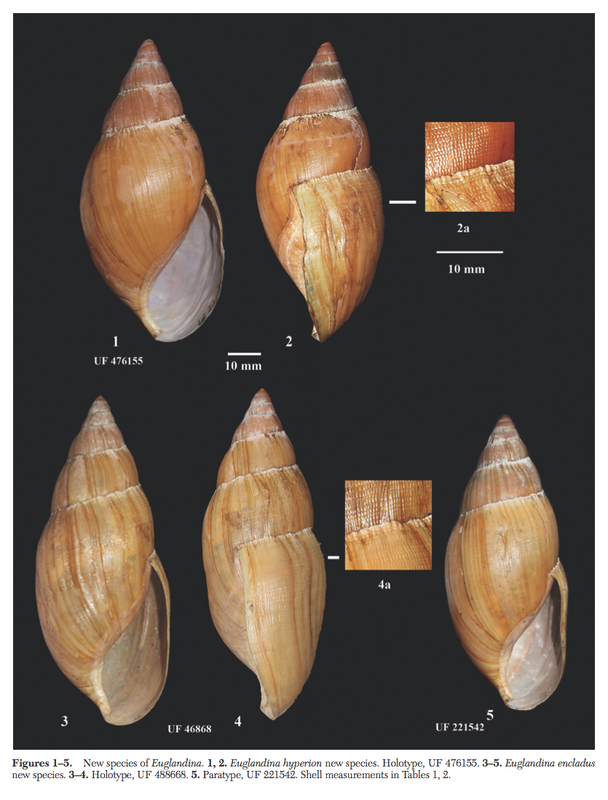 Two new carnivorous land snails of the genus Euglandina (Gastropoda: Pulmonata: Spiraxidae) from Honduras. – The Nautilus 128: 97–100. This entry was posted in Uncategorized on November 19, 2014 by bramb. I noticed a few grey blobs seemingly snails in front of the building, which should warrant showing this picture, but also a large sign on the side. This entry was posted in Uncategorized and tagged varia on November 19, 2014 by bramb. 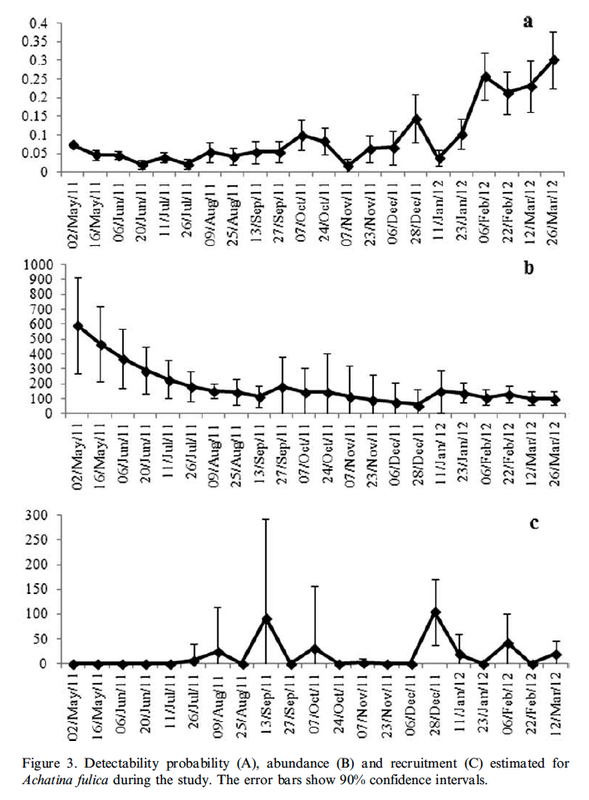 Agudo et al. 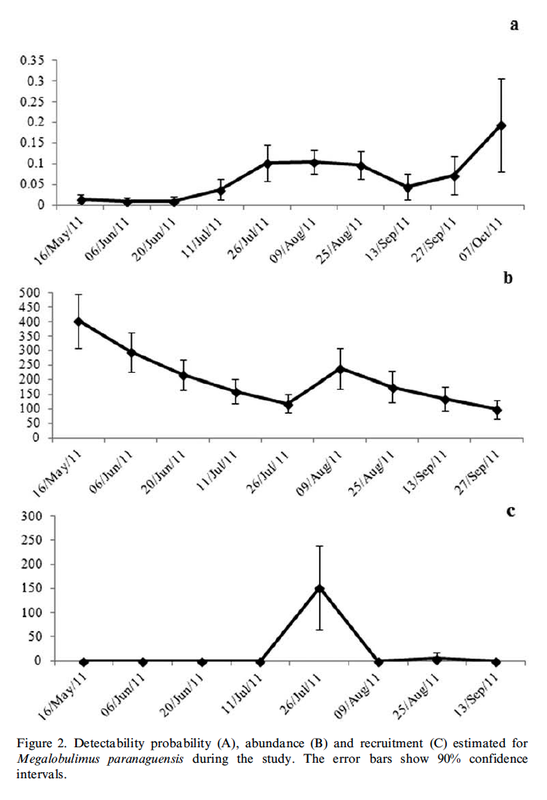 (2014) published nine new records for the fauna of the State Santa Catarina in Brazil. This entry was posted in Uncategorized and tagged Amphibulimidae, brazil, charopidae, helicinidae, literature, Megalobulimidae, simpulopsidae, subulinidae on November 14, 2014 by bramb. 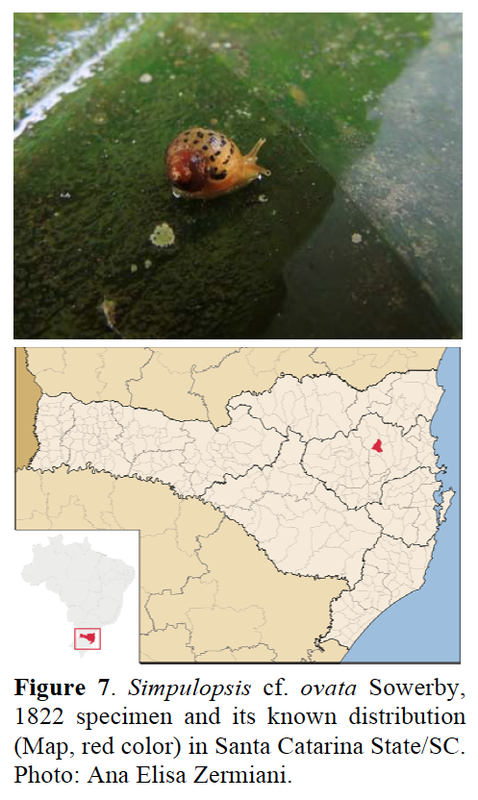 Some time ago I posted a note on a mysterious snail found in southern Brazil, supposedly Plekocheilus aff. rhodocheilus (Reeve, 1849) (here). ‘The snail has gotten a tail’, so to speak, as the original audio fragment has been analysed and another case of sound production in land snails turned up, shedding light on this seemingly forgotten topic. Many thanks are due to Germano Woehl jr. for sharing the original audio file. It would be interesting to further investigate e.g. 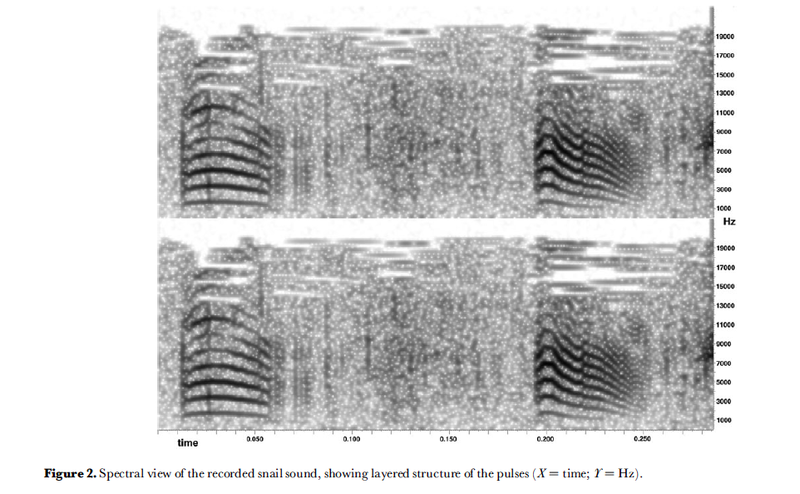 the relationships between size of the species and sound to be made. This entry was posted in Uncategorized and tagged brazil, ecology, plekocheilus, publications, sound production on November 8, 2014 by bramb.